A big part of the home buying process is making sure you are making a sound investment. To ensure you are doing just that, you want someone you can trust to perform a home inspection on any properties you are thinking about buying. 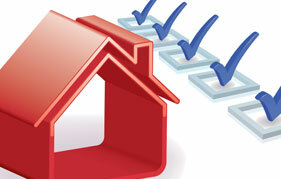 There is a long list of potential problems that could arise during a home inspection. JMark Inspections is here to talk about some of the most common issues that often present themselves during a routine home inspection. The electrical system in your home is an area that can often have problems come up during a home inspection. Problems vary from knob and tube wiring to open junction boxes to inadequate fuse boxes. Some of the electrical problems that arise can be a serious risk to those who are occupying the home. Electrical issues can lead to electrical shock as well as a house fire if they aren’t fixed properly. 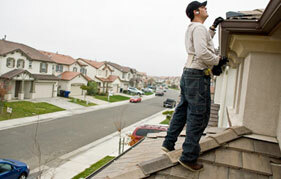 Having issues with your roof can be costly to replace. Not only that, it there is an issue that has gone undetected, it can result in a great deal of damage to the property. Over time, shingles start to get brittle and worn, which is the most common problem we see; missing shingles. During a home inspection, you will also get a detailed report about the roof and the projected lifespan the roof has left. Water can wreak havoc on your home when an issue is found. Leaking pipes are a big problem because if they are undetected you can be facing issues with mold and mildew growth. Other plumbing concerns include inadequate water pressure, slow or clogged drains and broken toilets. A well running HVAC system is essential to your survival during the scorching summer months in TX. These systems can also be expensive to fix if there is a problem. The current heating and cooling system may just need some simple repairs, but there are many times that larger issues lead to the need for replacement. You want your heating and cooling systems to be well running so you can avoid serious issues like leaking carbon monoxide. This is a big one. When there are foundation concerns that pop up in a home inspection, it can often be a deal breaker. A firm foundation is the most important part of your home. Any time there are sagging floors, cracks in walls or doors and windows that are sticking and incredibly hard to open and close, you could be facing dreaded foundational problems. You want to know that the foundation of any home you are purchasing is sound and ready to offer the structure the support that is necessary to keep it standing. 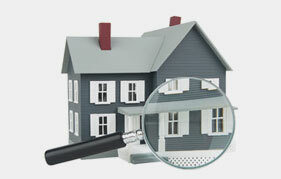 There is no one else you can trust to complete your home inspection than JMark Inspections. With our training and experience, we will give you a detailed report of all our findings and would love to walk you through the property you are thinking about buying. Call us today!